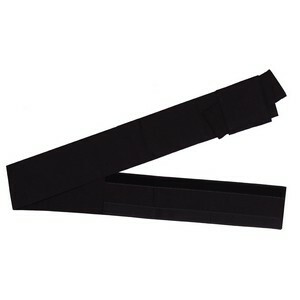 A black shantung cotton obi belt with velcro. PLEASE NOTE ALL JAPANYA KIMONO AND YUKATA (except our second-hand ones) COME WITH THEIR OWN BELT. Fits waist size (over clothes) of 29-43" (75-110cm). Hand washable. Made in Japan.